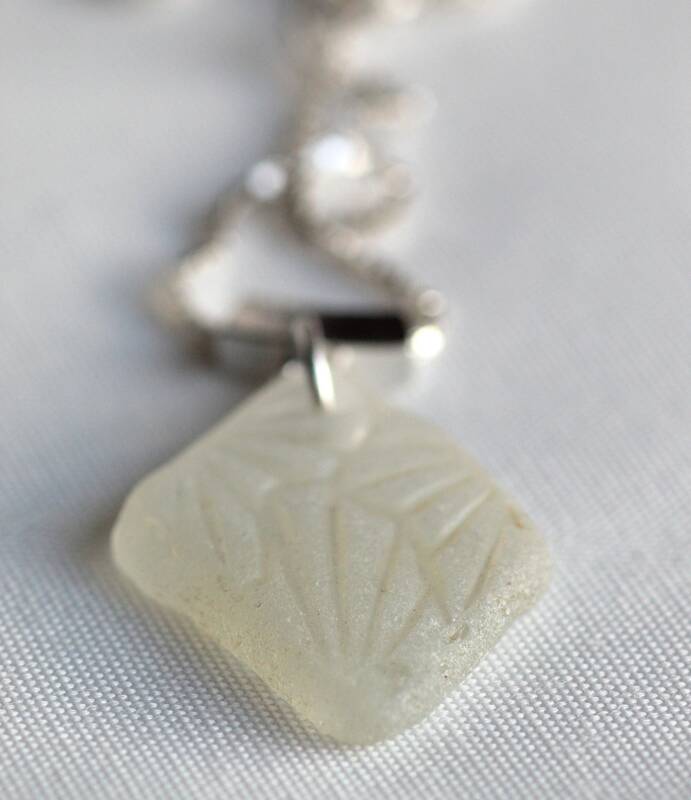 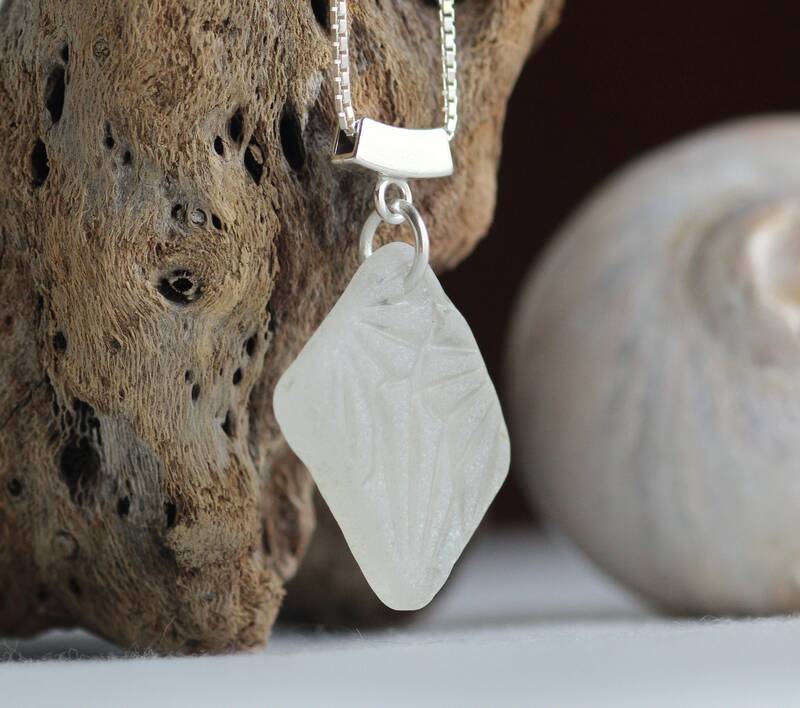 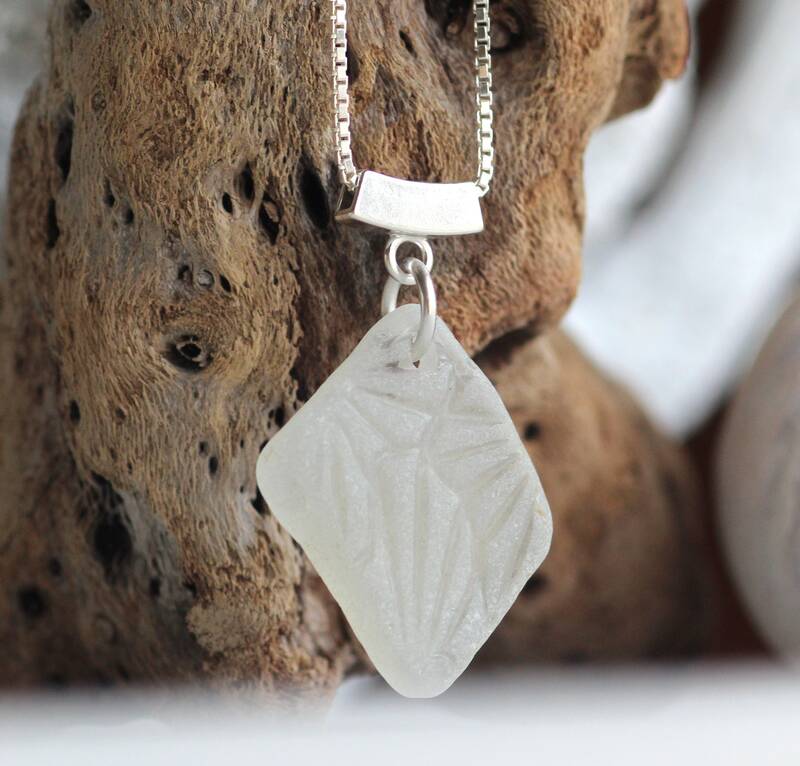 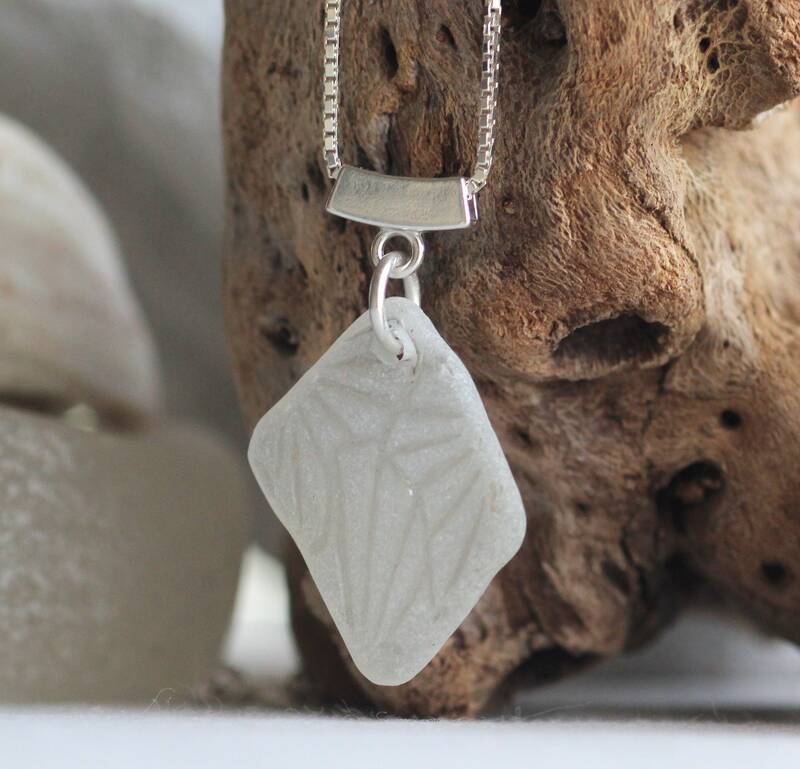 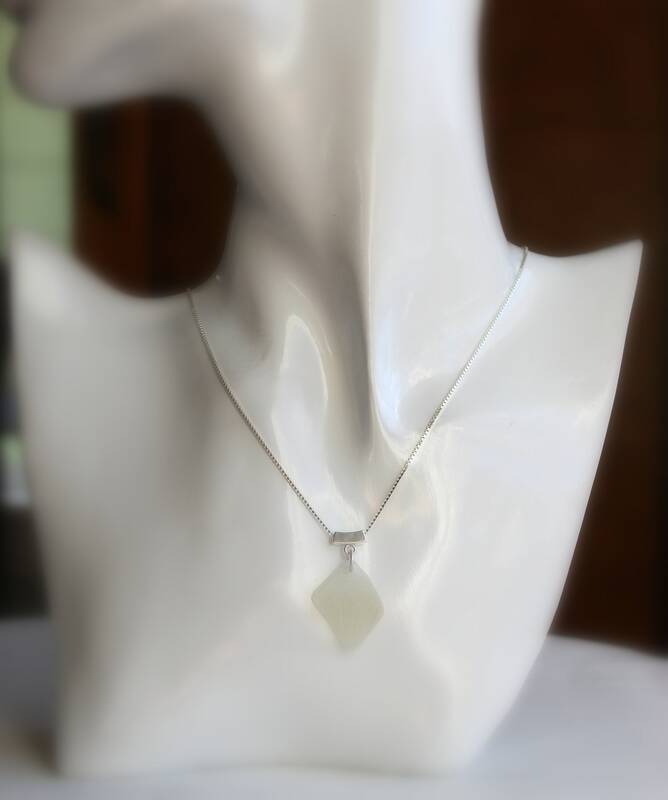 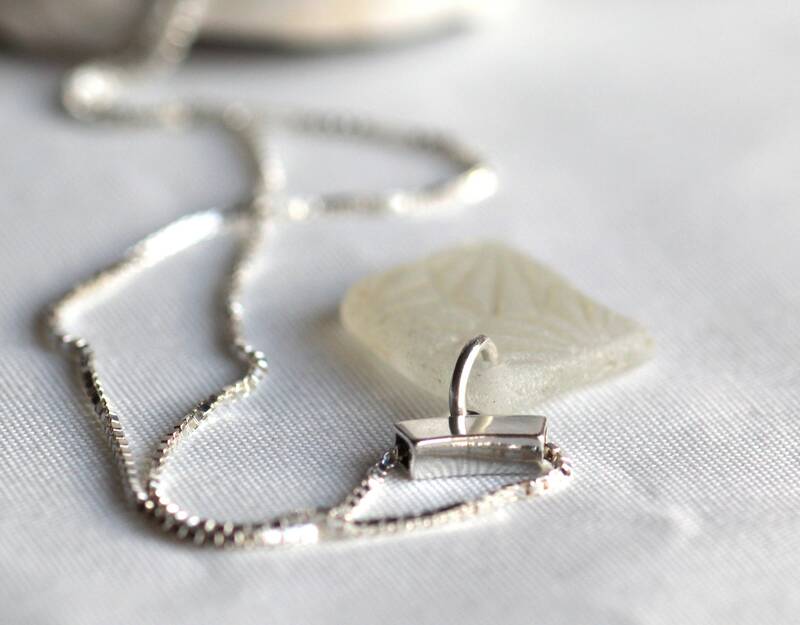 Our Victorian sea glass necklace features lovely vintage sea glass with a raised starburst pattern, originating from windows in old Victorian homes in Nova Scotia. 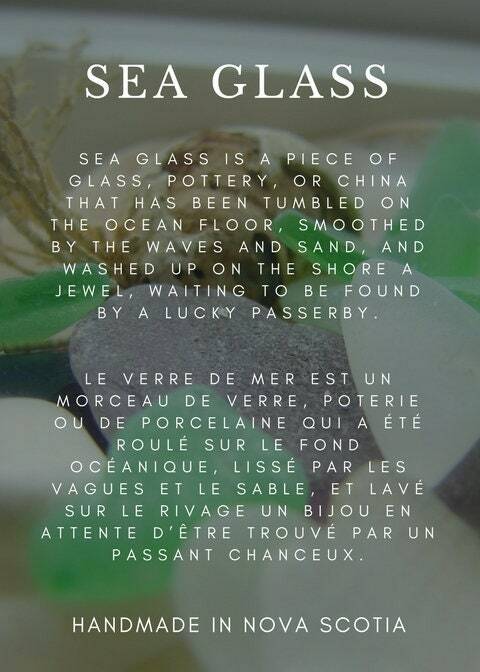 The sea has given the pieces back to us, lovingly smoothed and polished. 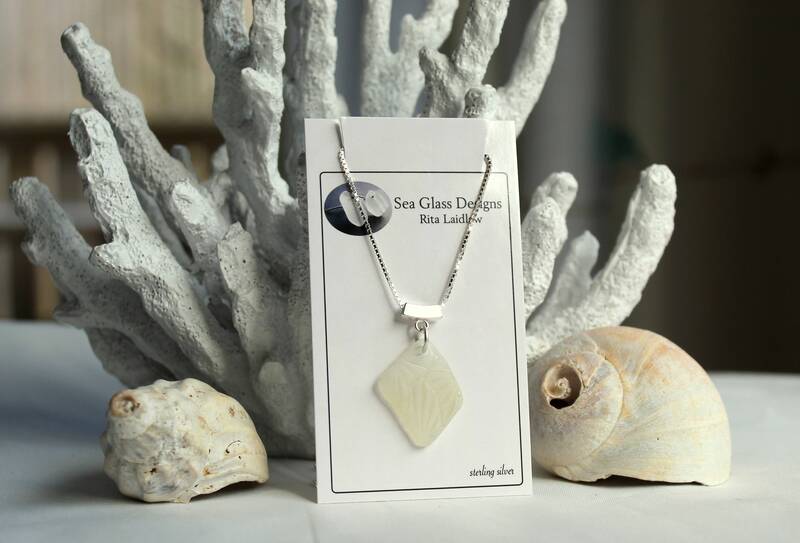 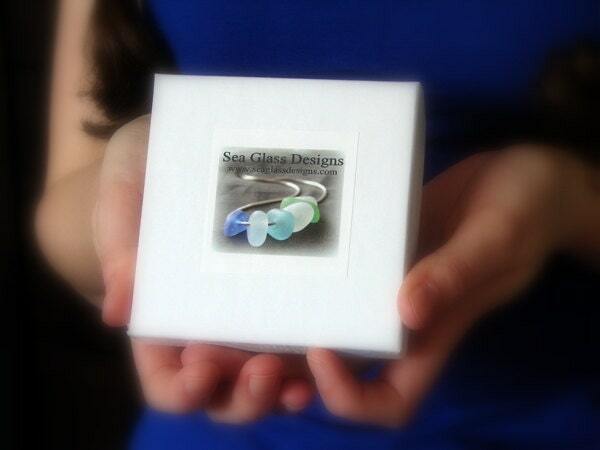 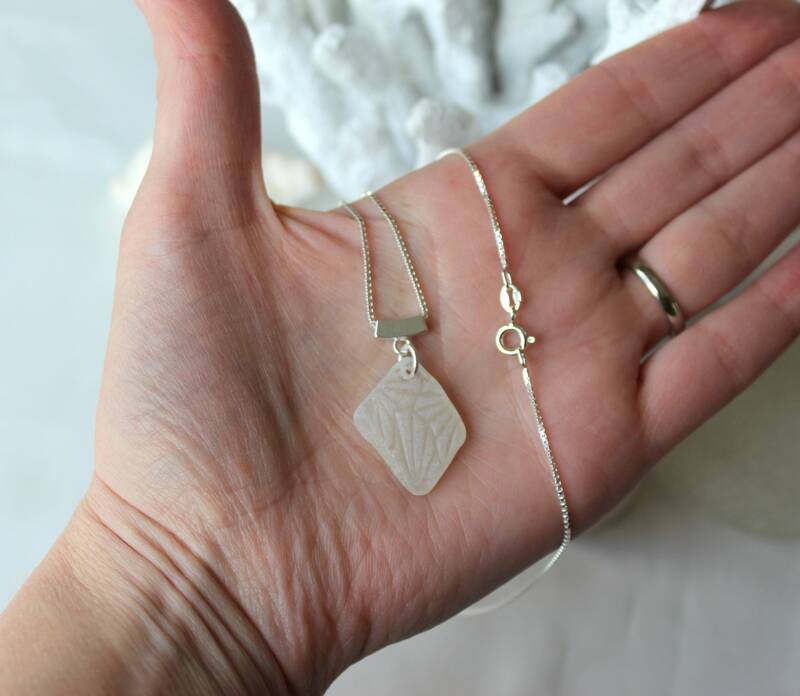 The pendant measures 1 1/4" inches in length and hangs on an 18" sterling silver box chain.